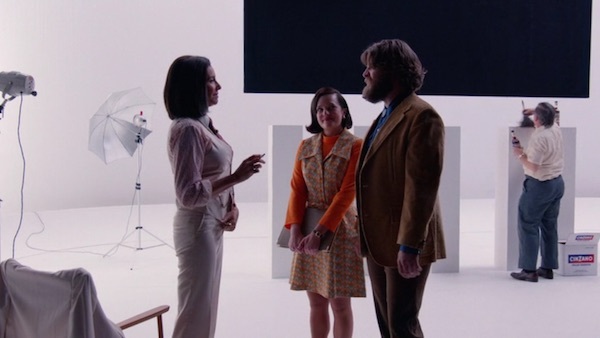 The seventh season of Mad Men, split into two half-seasons, didn’t include an excessive number of brands and placements. 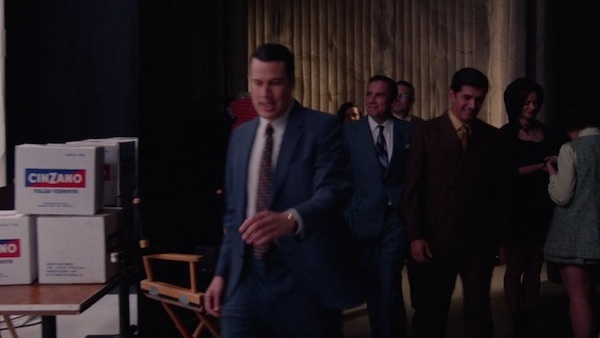 Besides Coca-Cola that had a special appearance in the show’s finale, I also spotted Cinzano in the ninth and twelfth episode. Cinzano is an Italian brand of vermouth, a brand owned since 1999 by Gruppo Campari. Cinzano has a rich history: its vermouths date back to 1757. According to the book Periodic Tales: The Curious Lives of the Elements by Hugh Aldersey-Williams it was the first brand advertised on a neon sign. Cinzano was renowned for its advertising. 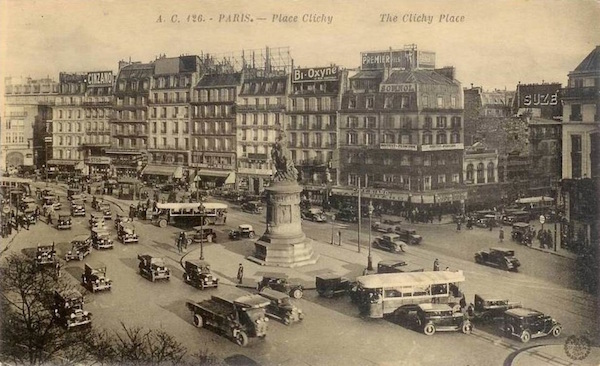 In the twenties it produced posters and print adverts signed by important artists and illustrators. 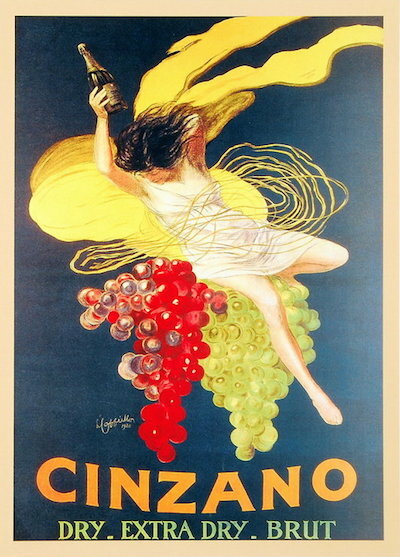 One of the most famous Italian historical posters was “Woman leaning on a bunch of grapes” (Cappiello, 1920). In the 60s Cinzano refocused its communication on cinema, radio, and television. Amongst the most famous Cinzano TV ads are those featuring Joan Collins and Leonard Rossiter. 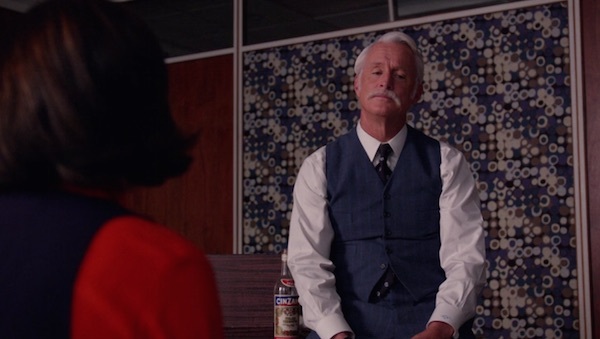 In Mad Men we first saw some Cinzano logos when Peggy and Stan came on set for shooting a Cinzano ad in the ninth episode. 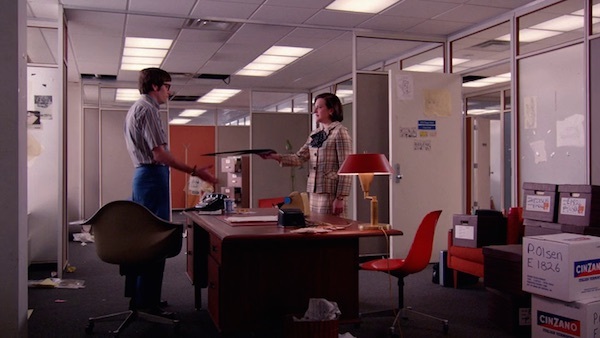 In the twelfth episode we saw that Peggy had some Cinzano boxes waiting for her. 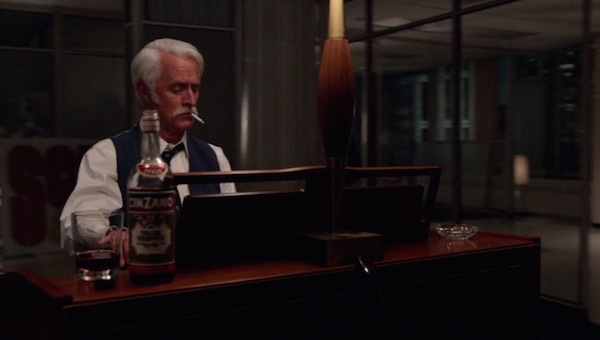 I’ve asked Campari whether Cinzano’s product placement in Mad Men was intentional and got the answer that it was an organic placement based on Cinzano’s historical significance.